Video replays are often used in sport matches, where a brief period of video from e.g. a camera can be played again. The Replay module adds a variable delay of up to 30 seconds to a selected video source, and in turn makes the delayed video available as new video source. A more advanced replay/slomo system can be built using one or more Slomo modules. Professional controllers like the JLCooper Slomo Elite C or Contour Design ShuttlePRO can be used to operate this system. There are several ways a scoreboard can be implemented in VidBlasterX. You can use a third party scoreboard program and use screen capture, the API or chroma keying to get its output into VidBlasterX's video stream. 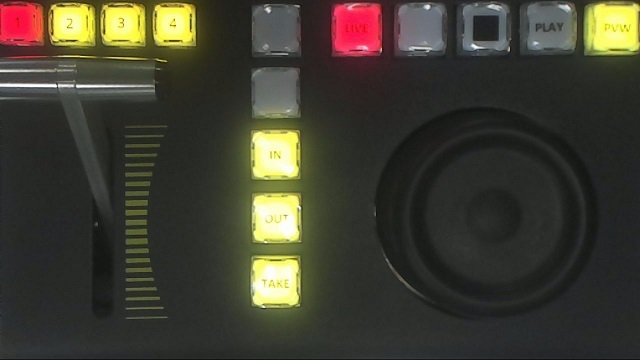 By far the easiest way however is to use the Scoreboard module, which can either be keyed over any video stream using an effects bus, or used as a downstream keyer and keyed directly over the program bus.